Brayden pushes with all his might. He’s been in physical therapy for over an hour. Two physical therapists guide his hips and most of his weight into a standing position. His legs are shaking wildly from the effort. The pain must be agonizing but Brayden does not let it show. There is only a sparkle in his eye – a look of determination that lets you know he means business. Then something remarkable happens. Despite the physical pain, Brayden’s lips curl into a smile. 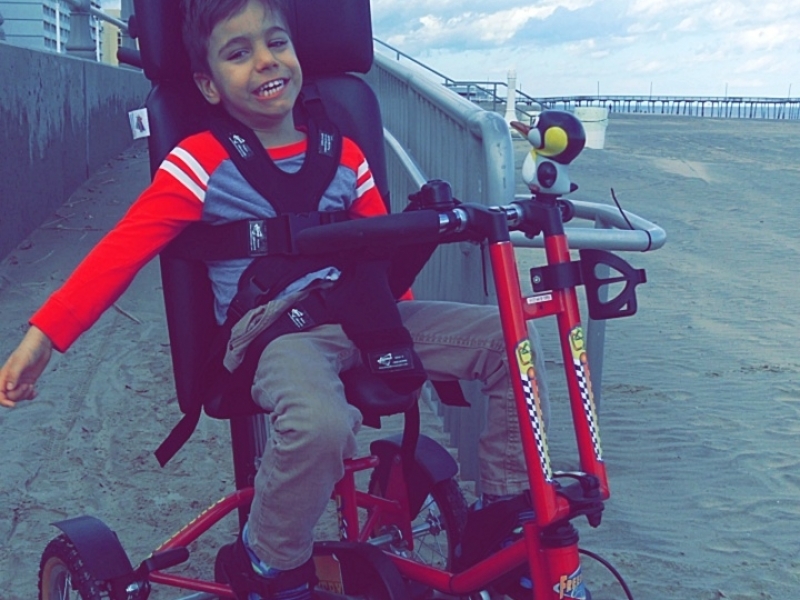 Brayden has been smiling despite the odds stacked against him his whole life. 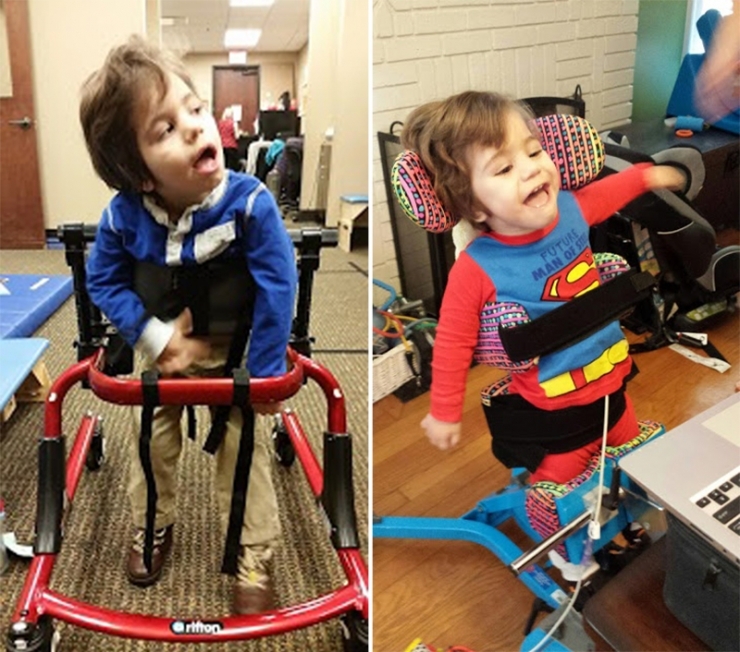 After displaying signs of hypotonia, or low muscle tone, Brayden was diagnosed with the rarest of genetic disorders called Congenital Disorder of Glycosylation at only 6 months of age. When they received the news, Brayden’s parents, Eric and Christina, were heartbroken. There had been only 15 cases reported worldwide. There wasn’t a playbook on how to handle their son’s condition. With the diagnosis came a long list of related issues. 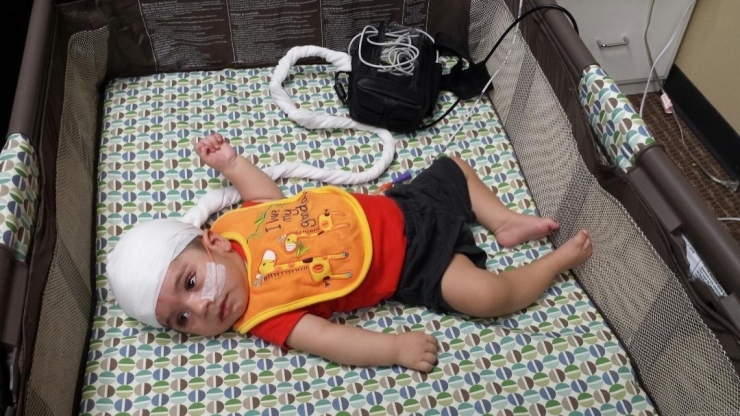 Optic nerve hypoplasia and retinal dystrophy that could lead to blindness, gastroesophageal reflux disease and reliance on g-tube feeding, a movement disorder and development delays are just a few of the obstacles Brayden faces each day. But for Brayden, these are just minor setbacks. According to his mother, he only whimpers when he is either tired or hungry. Brayden has an unparalleled love for life. 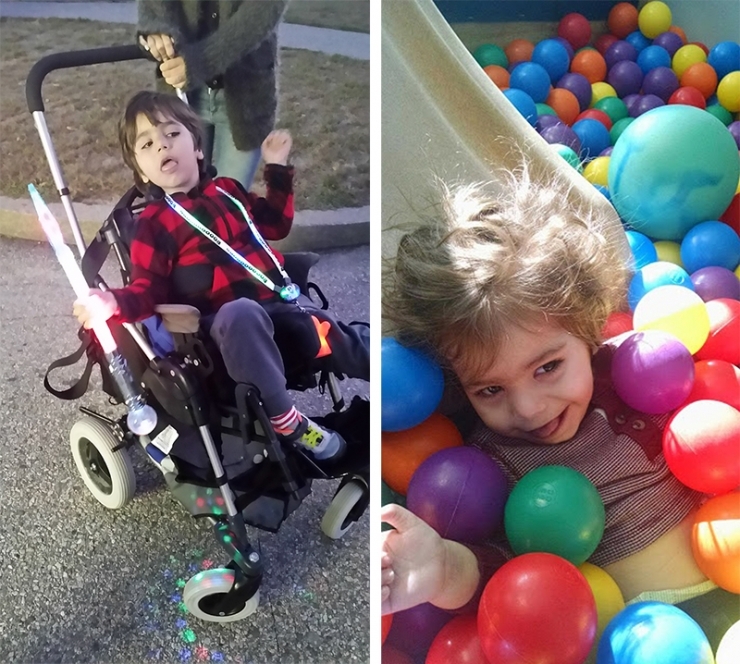 He enjoys being outside with his family and friends, music, art, and of course.... smiling! 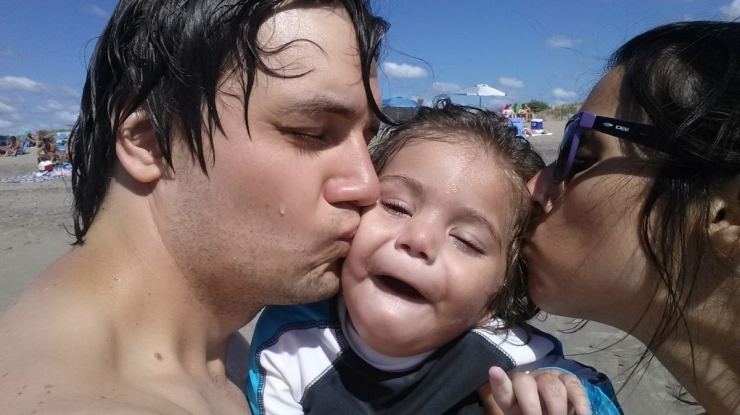 Brayden at the beach with his father, Eric and mother, Christina. 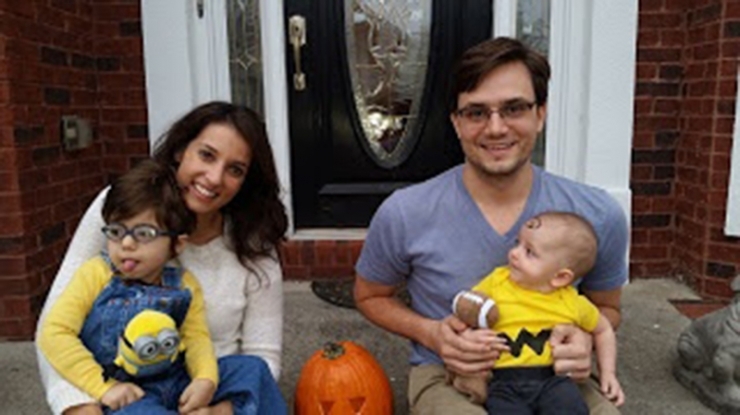 This is Brayden and his family on Halloween, including his younger brother Holden. Holden adores his big brother. 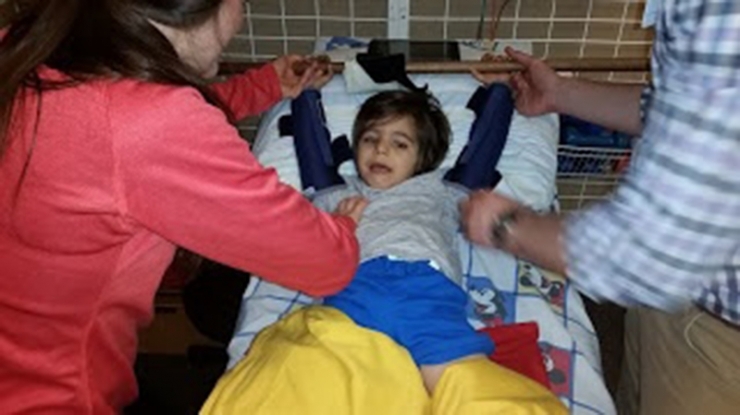 Brayden knows others have set ceilings for him both physically and developmentally. However, he works tirelessly to shatter those ceilings and set a new standard. 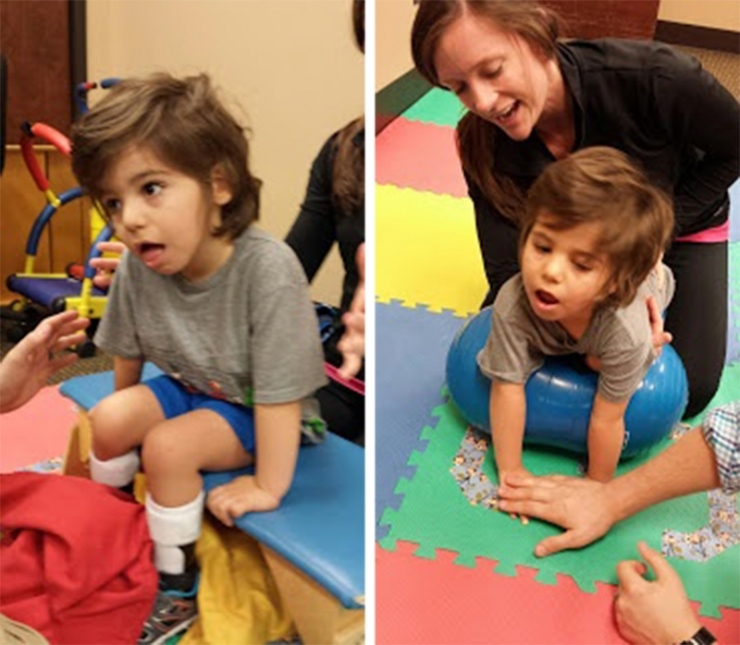 His physical therapists call him one of the hardest working individuals they have ever met. 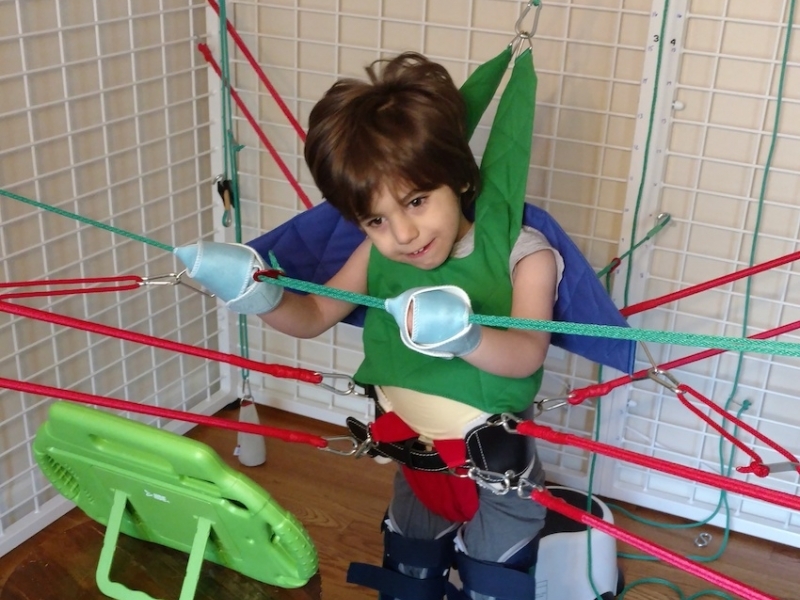 Doctors said it may take Brayden until the age of 7 to use a gait trainer by himself. However, Brayden was using one by the age of 3. Count that as just one of the many breakthroughs Brayden has made in his short, 3.5-year life. But there remain many more breakthroughs to be made. 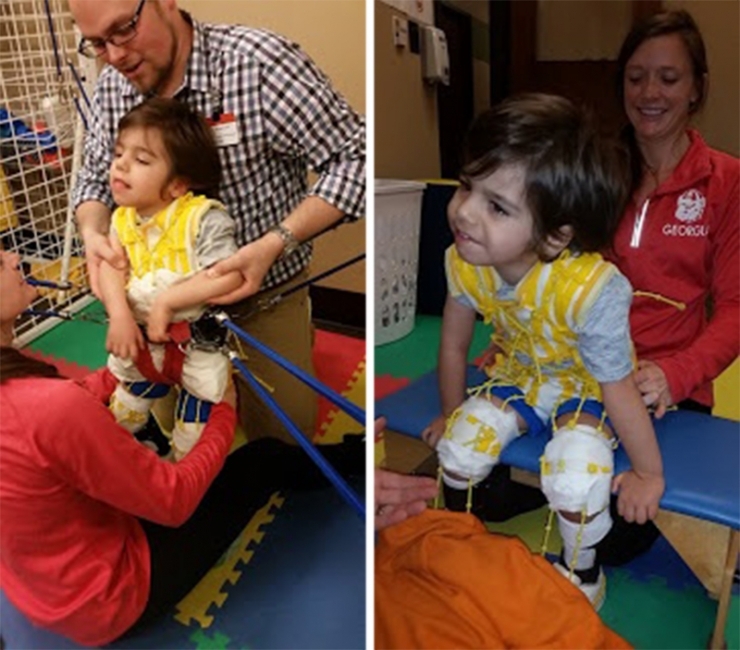 One of Brayden's long-term goals is to walk unassisted one day. With his grit and determination, we have no doubt that he will. However, here at Chive Charities we specialize in giving the underdogs the boost they need to not only achieve but surpass their goals. When we talked to Christina about Brayden's development, she told us he would work out 3 hours a day - 5 days a week if it were up to him. When we asked what is stopping him, she explained that the proper equipment for his physical therapy is too expensive for them to afford. Worry no more, Brayden. Chive Charities is happy to announce a $9,000 Green Ribbon Fund grant that will help purchase a TheraSuit Universal Exercise home gym. The specialized physical therapy home gym is exactly the same one that Brayden uses during his professional physical therapy sessions. Now Brayden can work out and break barriers whenever he wants. 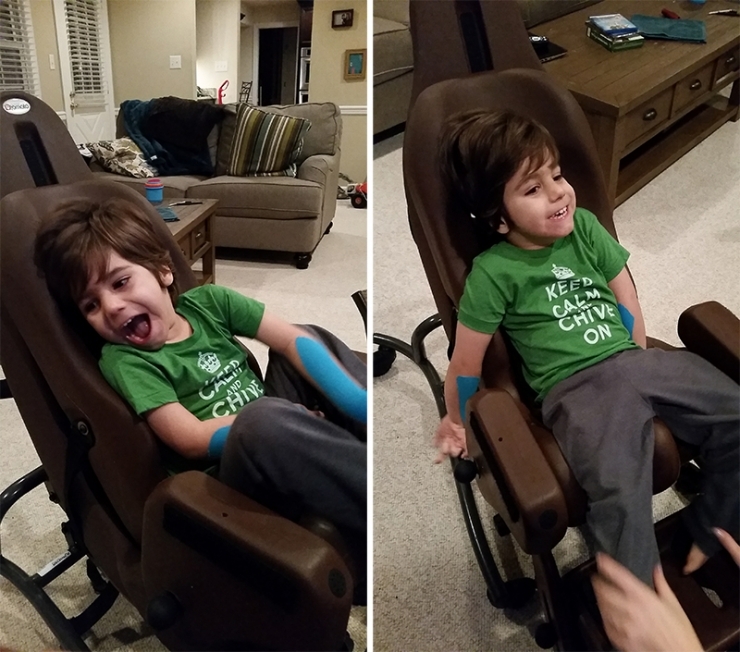 This is Brayden's delighted reaction the first time he rode a Freedom Concepts adaptive bicycle. The bike pedaling motion helps train his hips and legs to learn the motions of walking. 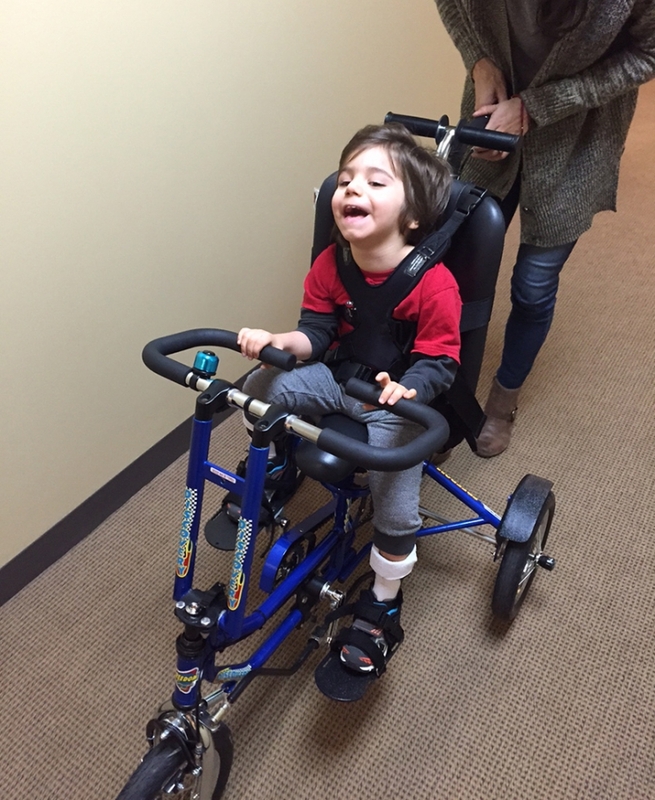 Since we want to keep Brayden smiling, we used part of the grant to purchase him his very own Freedom Concepts bike! 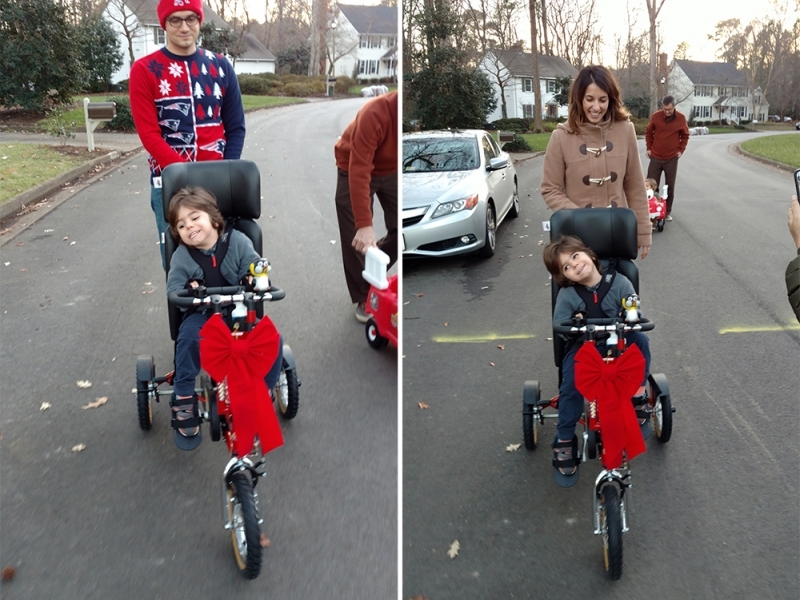 Christina told us that the bike will allow him to get outside, where he loves to be, and "allow him to be typical if only for a little while." But she's even more excited about improving Brayden's chances of one day walking unassisted. Brayden may have had his doubters in the past. But time after time, Brayden has turned those doubters into believers. The look of determination in his eyes and his unmistakable smile through the pain have us convinced that he will accomplish whatever he sets his mind to. 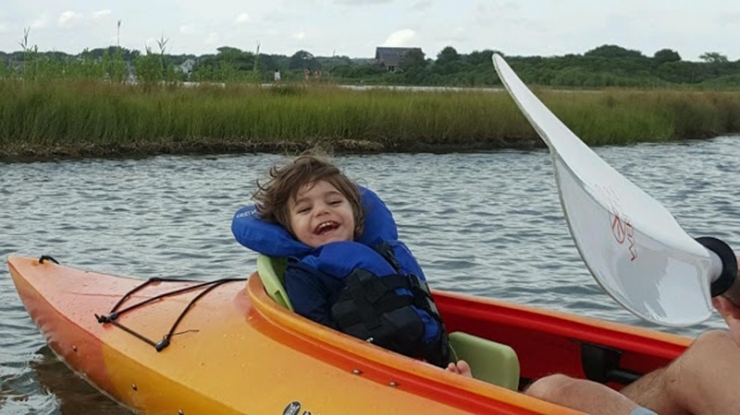 With the help of a few committed Green Ribbon Fund donors, we're glad to give Brayden a little boost to get that much closer to his ultimate goals. 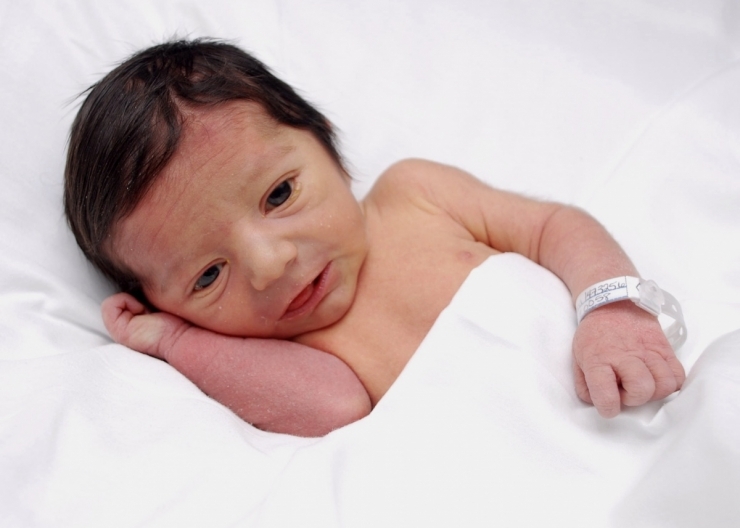 You can help more recipients like Brayden by becoming a Green Ribbon Fund donor RIGHT HERE.